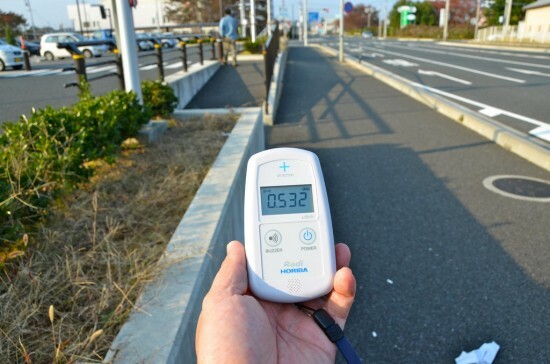 Is The Radiation From Fukushima As Bad As Some Experts Say? Some experts tell us that earthquake damage to the nuclear plant in Fukushima, Japan, is a death knell for Japan and will lead to the evaculation of the entire Western coast of North America. But what can we do if they are right? Canadian environmental activist David Suzuki recently informed the world that the Japanese nuclear plant damaged by the Fukushima earthquake in 2010 is in such delicate shape that another major earthquake, 7.0 or higher on the Richter scale, could unleash a catastrophe. “The fourth [reactor] has been so badly damaged that the fear is if there’s another earthquake of a 7 or above then that building will go and all hell breaks loose,” Suzuki told a group of water ecology scientists meeting at the University of Alberta. "It's bye-bye Japan," Dr. Suzuki said, and the entire west coast of Canada and the United States would have to be evacuated once ocean water came in contact with the exposed fuel rods of the nuclear reactor. The Japanese energy company TEPCO isn't just waiting for the inevitable end. The energy concern has accepted help from American experts to start removing the potentially dangerous fuel rods from the fourth reactor in the plant, one at a time, beginning in mid-November 2013, and probably continuing for 10 to 20 years. The problem with this process, as Suzuki and some other experts see it, is that a tiny misstep could result in a nuclear explosion. If two rods touch as they are being removed from the damaged reactor, a chain reaction could be set off, transforming the plant into a nuclear bomb and releasing massive amounts of radiation into the Pacific Ocean. The underwater earthquake fault that set off the catastrophic Fukushima quake in 2010 is still active, Suzuki says, and there is a 95% of a 7.0 aftershock from the main quake in the next three years. But not everyone takes the dire warnings of Suzuki and other experts seriously. There are good reasons to be skeptical. The maps of radiation crossing the Pacific Ocean aren't actually maps of radiation. They are maps of waves from the tsunami the morning of the quake. At that time, radiation was not leaking into the ocean, and if if had been, it would already be the places marked on the map. To put it clearly, the map that gets posted and reposed on social media such as Facebook is a fake. "At the very least, your days of eating Pacific Ocean fish are over" is another common hyperbolic claim about the extent of the problem. Thyroid cancer rates are soaring, the fearmongers say, and fish are being burned. But the simple fact is, they aren't. Even fish caught in Japanese waters are not found to contain unacceptably high levels of radiation, at least not yet. It is possible that a second tsunami overwhelming the fourth reactor would change this situation, certainly for the waters off the east coast of Japan, but that has not yet happened. Many of the discussions confuse water-borne radiation with air-borne fallout. Fallout from nuclear testing actually has covered most of the world. But radiation leaked into water has not. The dire warnings about Fukushima ignore the facts that Chernobyl, in 1986, released a great deal more radiation than has leaked from the Japanese plant. Or that testing nuclear bombs in the 1950's and 1960's released 20,000 times more radiation than the Japanese power plant. Or that Hiroshima and Nagasaki, bombed by the Americans at the end of World War II, now host parks and wildlife and healthy people. But what should you do if the warnings turn out to be really true? Bouville A, Linet MS, Hatch M, Mabuchi K, Simon SL. Guidelines for Exposure Assessment in Health Risk Studies Following a Nuclear Reactor Accident. Environ Health Perspect. 2013 Nov 1. Simon SL, Coleman CN, Noska MA, Bowman T. RESPONSE OF THE U.S. DEPARTMENT OF HEALTH AND HUMAN SERVICES IN PROTECTING CIVILIAN AMERICANS IN JAPAN DURING THE FUKUSHIMA NUCLEAR CRISIS. Health Phys. 2012 May.102(5). doi: 10.1097/HP.0b013e31824c79e5. RAI treatment; what to expect?! How long do i stay away from babies after I131 treatment?